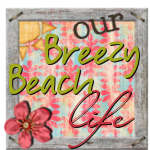 Sara at Our Breezy Beach Life lives in Florida with her husband and young daughter who they consider the most precious gift they’ve ever been given. Sara works full time but is able to work two of those days from home. She shares personal stories in her blog as well as pictures of her family and recipes such as Monkey Bread and a frozen strawberry dessert that looks so yummy. Alexandra at Ma, what’s for dinner? lives in Connecticut with her husband and three young sons. Alex enjoys cooking with her children and hopes that her site and cookbooks will be a catalyst for other families to cook and bond together in the kitchen. 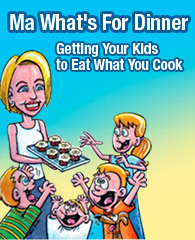 Her cookbook, Ma, what’s for dinner?, has kid-friendly recipes and 15% of all proceeds benefit Spinal Muscular Atrophy (SMA), the number one genetic cause of infant death. Karen at Crazy Mama Karen has three children, ages four, three, and one. She and her husband work opposite shifts, so her days are long and crazy but she wouldn’t have it any other way! Karen loves to spend time with her family, bake, try new things, read, and write on her blog. She enjoys writing about life stories, lessons learned, tips, crafts, product reviews and giveaways as well. Yay!! It is Friday! I love Friendly Friday!! Thanks for hosting. Have a great weekend!! Happy Friday! I’m a new follower via Friendly Friday. Showcase Sisters is now following you from the Friendly Friday Blog Hop! hi new follower! my first friendly friday! I have 2 blogs. one for health and fitness info and one as a mommy. hope you’ll stop by! have a great long wkend! Just followed from FF. Awesome blog hop, thanks! Stopped by to let you know i am following you from the weekend blog hop.